The most famous police force in the world are the Metropolitan Police based in Scotland Yard, London. In these troubled time their ‘Special Branch’ has a number of companies deployed around the capital to investigate and foil dastardly foreign plots against the city, Parliament and Her Majesty. 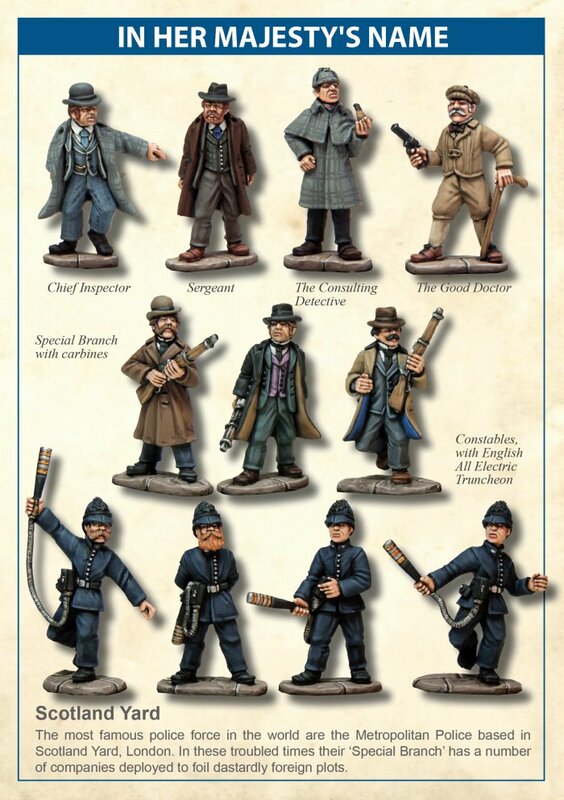 Occasionally they will enlist the aid of a world famous consulting detective and his able companion, the good doctor.